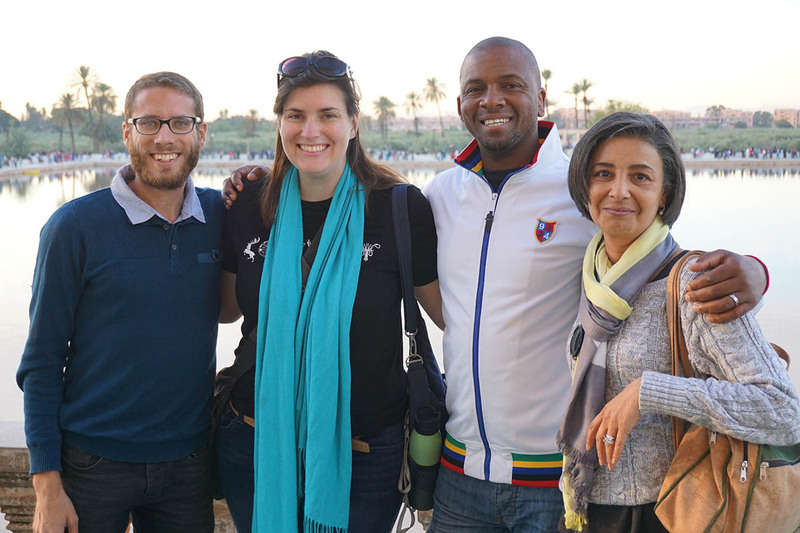 Left to right: Ahmed Tazi (Association de Défense des Animaux et de la Nature), Caroline Wimberly, Tozie Zokufa, and Amal El Bekri (RAPAD Maroc). 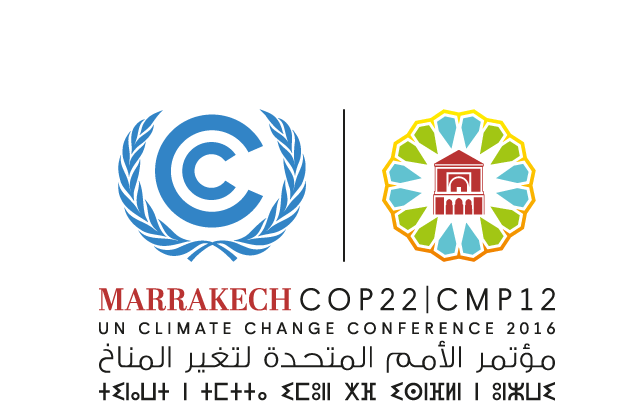 Brighter Green’s Program Associate, Caroline Wimberly and Tozie Zokufa, chair of Pan African Animal Welfare Alliance (PAAWA), attended COP22 in Marrakech in November 2016. We shared an exhibit space with Humane Society International and Abibimman Foundation in the Blue Zone. The exhibit featured multimedia informational resources (research, policy recommendations, video documentaries) on the climate, land use and multiple environmental impacts of large-scale animal agriculture and alternatives with case studies from global South. For more in-depth coverage of how we participated, contributed, and were covered by the media, click the links below. Caroline Wimberly and Tozie Zokufa wrote about their experiences at COP22 for World Animal Net’s blog. To view the article, click here. 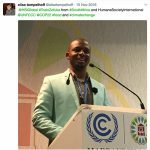 World Animal Net also covered some of Brighter Green’s activity at COP21 in 2015. 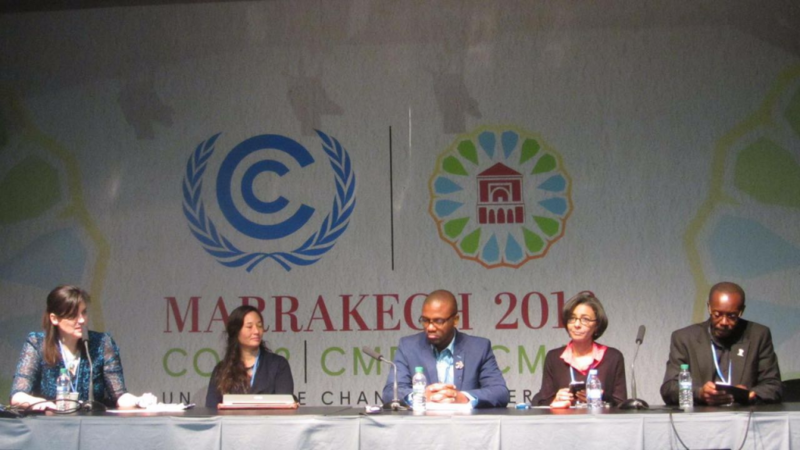 Also, South African environmental journalist Elise Tempelhoff (Media24) tweeted from our side event in the blue zone. The panel will illuminate climate and other environmental and social effects of large-scale animal agriculture and feed production, and demonstrate ways implementation of the Paris Accord could work to address and reverse these impacts. Necessary research, policy shifts, public engagement, and public-private partner- ships and innovation will be explored. 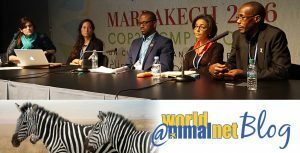 Speakers from Brighter Green (U.S.), the Pan-African Animal Welfare Alliance (PAAWA), Humane Society International (South Africa), RAPAD (Morocco), and the Global Forest Coalition (Paraguay). Simply to hold temperatures below 2°C will require not only the rapid reduction of carbon dioxide (CO2) emissions, but also those of other GHGs, including methane, which is 25 times more potent a GHG than CO2. Nearly half of the world’s methane emissions come from the livestock sector, and the environmental and social costs of overconsumption of meat and other animal products (along with production of feedcrops) are considerable. Given the potential, and the benefits, why wouldn’t reducing GHGs from meat consumption and production become a priority for governments, the private sector, health and environmental researchers and global civil society advocating for action on climate change? Panelists from Brighter Green (U.S.), RAPAD (Morocco), the Pan-African Animal Welfare Alliance (PAAWA), Humane Society International (South Africa), the Africa Network for Animal Welfare (Kenya), and ActionAid (U.K.) will explore answers to this question for Africa and the world.